After reading this article, you will find out that the real race is between ATH-M50x and ATH-M40x and you will learn about few things to consider before making an informed decision. For those who don’t have time, just take a look the table below, which has more than enough information to enable you to make the right decision for what you are looking for. First, let’s learn the main and most important features of these headphones and their major specs. The headphone industry is one of the most competitive fields in the audio trade, there’s no question about that. 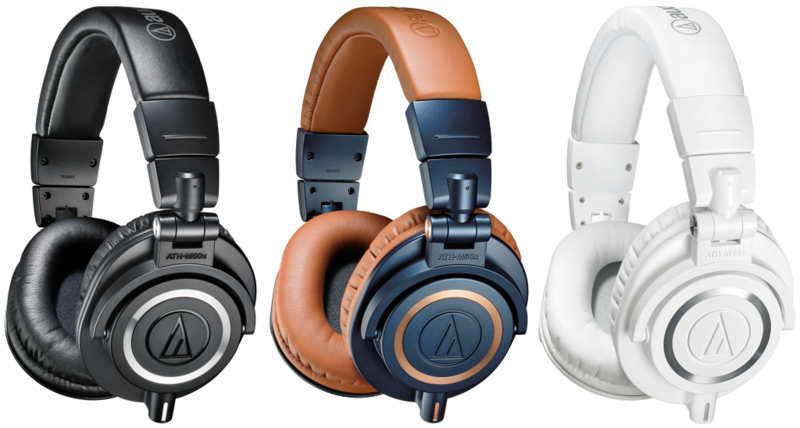 Yet there’s something to be said about the Audio Technica ATH-M50 and more in particular its successor ATH-M50x and also ATH-M40x. Well, I can say I happen to have tried very many headphones and have read and analyzed hundreds of reviews and trust me these headphones have both been among the most popular ones. Professional reviews published on trade publication websites have also mostly been unanimous in their praise. I have always said and will keep saying both these models are among the best headphones under $150. From price stand point, ATH-M40x is just below $100 and therefore more for tighter budget. Closed back design. This means more comfort and longer sessions. The drivers measure 45 mm in diameter. The driver is essentially a circular diaphragm that converts electrical signal into sound so you can listen. This is the length of the driver diameter. Great sound quality: the frequency response ranges from 15 to 28,000 Hz with remarkable flatness – the flatness of the frequency response impacts directly the sound quality. More flat means less distortion and therefore higher sound quality. 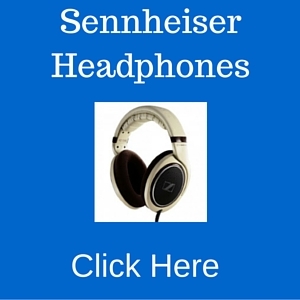 Come with a neodymium magnet – this means a lighter and more powerful headphone. Also, they have lower bass and more clear high frequency notes. A copper-clad aluminum wire voice coil, a gold-plated stereo 1/8″ (3.5 mm) connector, and even a protective pouch. 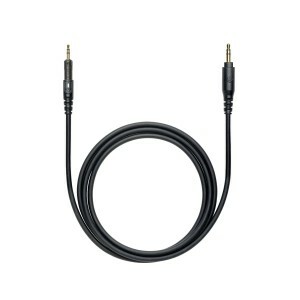 The 3.5mm connector allows you to hook up to MP3 players and computers. Come with either straight or coiled cables. Impedance of 380 ohms. This is a unit for electrical resistance. The lower the impedance the higher possible volume. This impedance, compared to good quality headphones very descent so don’t worry about it. Battery: no batteries needed. Means less worry to charge and lighter device. Stereo speaker: Yes!! No need to explain this. More rich sound, how does that sound? 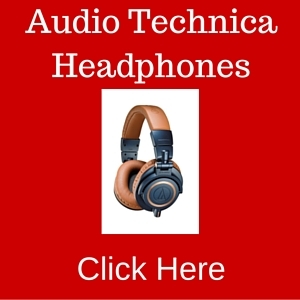 The list of excellent features offered by these headphones is easy enough to recognize. The sound quality is superb. Just about every related review says this, although they may use a synonym for the adjective “superb”. The highs are detailed and accurate without sounding harsh. The mids are just right. The bass is tight and deep, yet it doesn’t overwhelm. You can listen through these headphones for an entire day and you won’t get tired or fatigued. Because of the accuracy of the sound while it’s still neutral, they’re perfect as a studio monitor headphone. You can drive up the volume as far up as you can stand it, and you won’t hear any distortion at all. Excellent reproduction of audio. You don’t need an external amplifier. The headphones are very sturdy, even though they are made largely of plastic. It is quite comfortable to wear, and over time the ear cups will fit your ears even better. 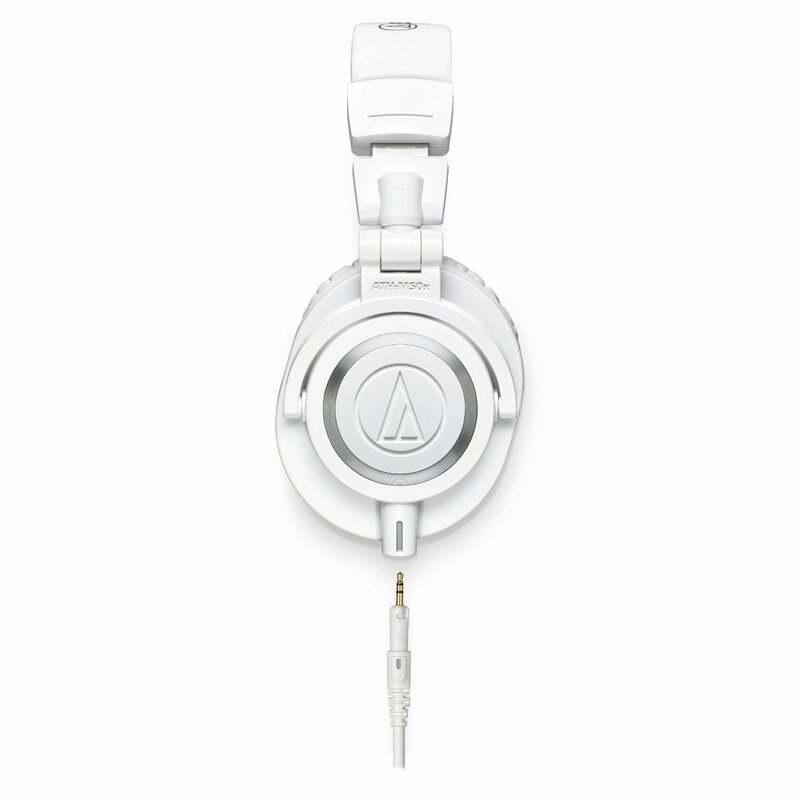 Like every other headphones, ATH-M50x and M50 are not perfect. Not really meant to use for outdoors. It weighs 284 grams or 10 ounces, and it’s also a bit bulky. Athletes who are jogging through the streets may want to use a different pair of earphones instead. In addition, the headphones aren’t really noise-cancelling. It’s more accurate to say that they are noise isolating. The earcups block out quite a large amount of noise, and when you’re playing music you won’t find it easy to hear anything from the outside. But it won’t eliminate outside noise completely. Few people complain that the base is inadequate while the highs were too crisp. As has been mentioned, the headphones intentionally rein in the bass so it doesn’t become overpowering, but if overpowering bass is your preference you need something else. This is definitely not for bass head freaks. I personally disagree with this and have no such complaint with mine! Not super stable. There are not designed to run or heavy jog with them as they may fall off, although they work perfectly well when casually used even when you are tilting your head. 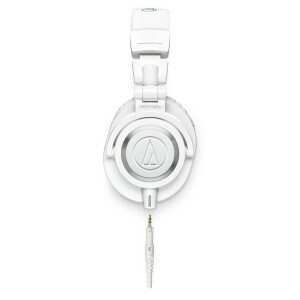 Audio technica ATH-M50x vs. ATH-M50, which one to buy? By now, you understand why I have always considered and recommended the ATH-M50 as the best headphone for under $150, period. Well, this was true before its successor was introduced to the market. Now, the big question is how different is the M50x from the M50 and is this difference worth the cost? While the M50x does cost a tad bit more, they maintain the M50’s awesome build, high quality, flexibility, portable design ideas, attention to detail, main features and technical specifications. The biggest difference between the two involves the cabling. When you purchase a M50x, you will find that it comes out of the box without any cables attached to it. 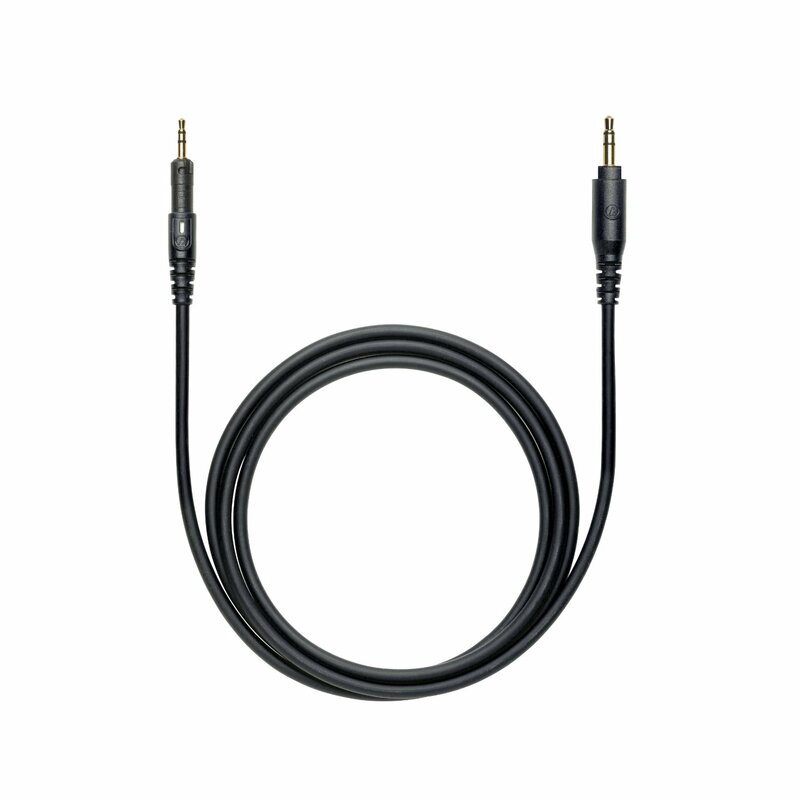 However, you will see a empty 3 ½ mm headphone jack on the left hand side where you can plug in a cable. There are three different cables included in the box to choose from. 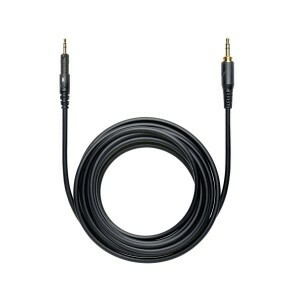 For slightly more money, you receive a 1.2 meter straight cable, a 3 meter straight cable that stretches out to 9 feet, and 1.2 meter coiled cable that appears to be a favorite among most of the consumer reviews I have read. The pictures of the three different cable types are given below so you have a better idea of what you get with your purchase. 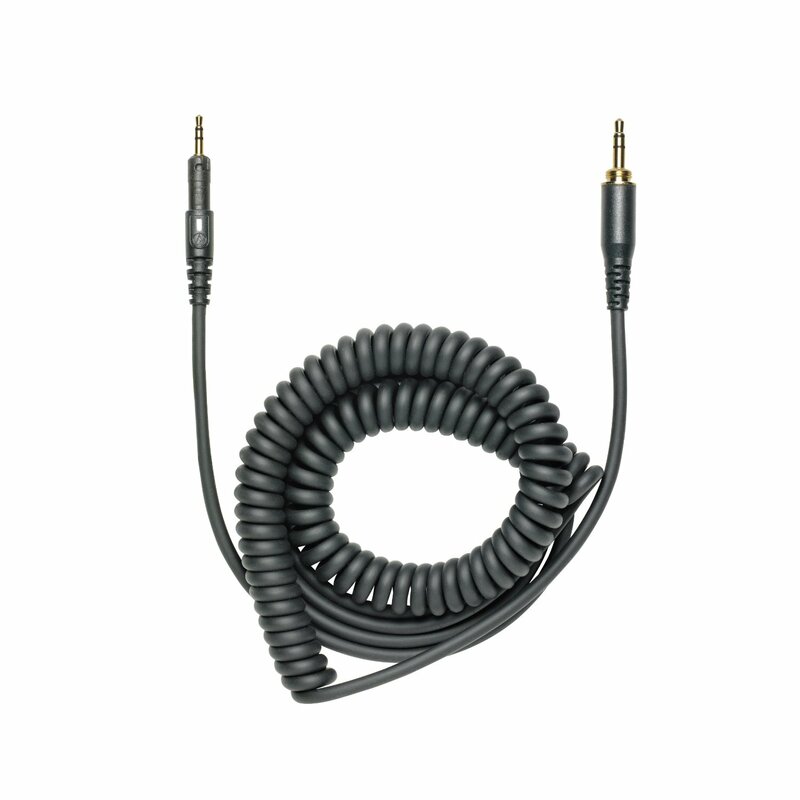 You should be aware that a locking mechanism is needed to connect the cable to the headphones, so you cannot use any third party headphone cables. Fortunately, the cables that come with it are more than adequate. 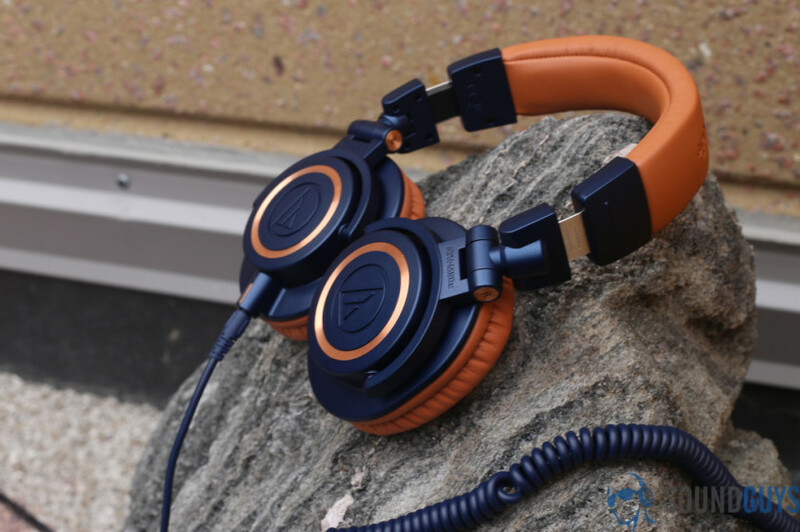 The M50x is available in three colors: blue, black, and white. 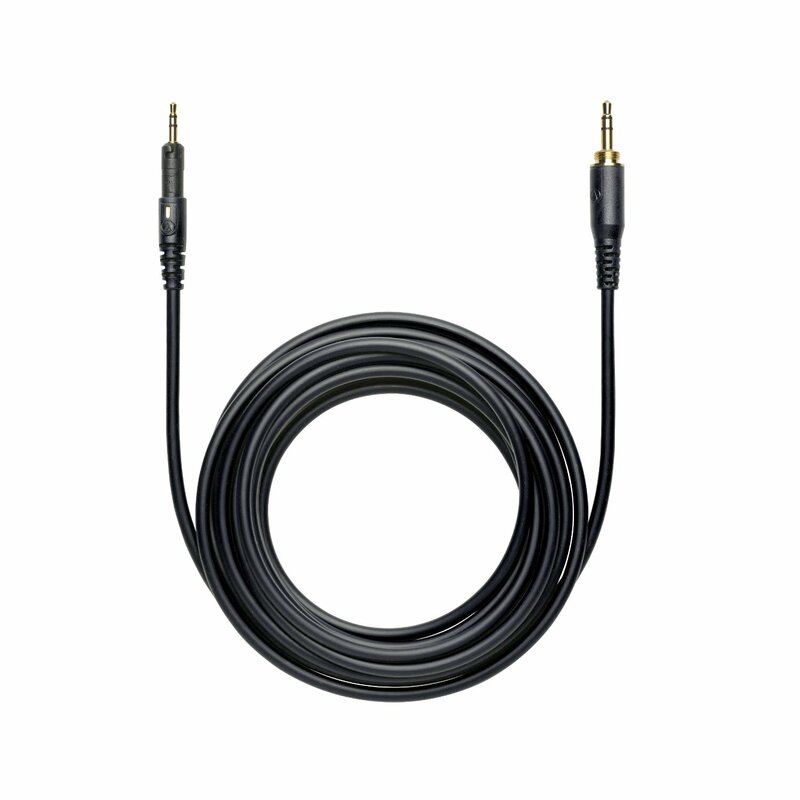 Essentially, the cables are the biggest exterior difference, but there may be a few other aspects that might be important to some. For instance, the top band of the headphone and the headphone cups are actually a bit softer and more comfortable. In addition, they seem to be more flexible and are not as tight on your head. They are definitely comfortable! Of course, they still have that great noise isolating seal on the top. With that “Sonic” signature superior audio quality, they’ve definitely taken an “If it ain’t broke, don’t fix it.” approach. Both have an excellent, balanced rich sound with really rich deep lows, balanced mids, and detailed highs. I’ve been using my M50x for everything from traveling, audio monitoring while recording, video editing, and just about everything else you can think of. I really appreciate this and it is certainly a testament to how great the sound is for headphones less than $150. The ATH-M50x doesn’t need an amp. They actually sound great with your phone. In addition, they are very portable, like the M50. 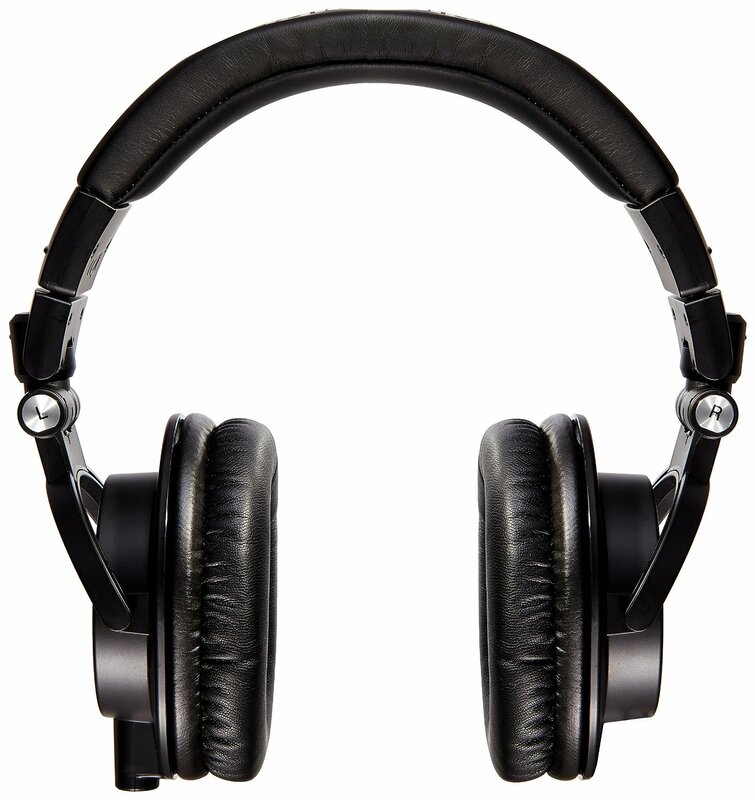 They have a closed back, are comfortable, and feature a great noise isolating seal on the head. They pretty much check all the boxes. If you are planning to spend a decent amount on headphones, they are definitely worth looking into. The bottom line is that these headphones are an amazingly good buy and there are certainly worth the money. Pricing and what to do next? I believe at this point and given all I explained before, we agree that both these headphones are the best candidates for under $150, no question about it. For just a bit more, you will get ATH-M50x with much greater benefits than the price difference. So, I guess the choice is clear, or should I repeat, just go for ATH-M50x and you will never go wrong. This is a professional monitoring set of headphones, and as such if you are recording at home this will be perfect for you. And if you value sound and comfort, this one’s ideal. When you are listening to your music or watching a film or a TV show at home, you will have nothing negative to say about it. It will be better-sounding than anything you have ever tried before. So should you buy it? That depends. Do you care about sound, and how comfortable you feel when you wear a set of headphones? Do you want absolutely clear and crisp sound when you mix and record music? If you care about sound quality, then this is the headphone for you—and you’d be comfortable wearing it on your head as well. For the price, the choice is almost a no-brainer. In terms of build, design, look and aesthetic these two headphones are pretty much similar. 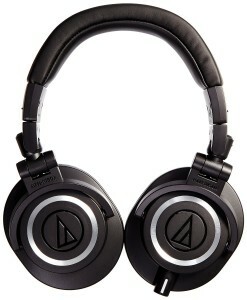 Probably ATH-M50x looks a bit nicer and more classy but nothing of major difference. Same goes for the comfort and ease of use where again these two headphones are more or less similar. They both come with excellent cables with a difference: ATH-M50x comes with a short and a long straight cable as well as a long coiled cable. 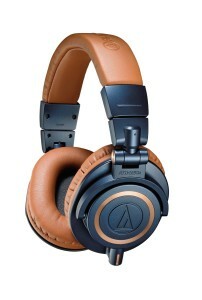 ATH-M40x does not have the short one but would come with the other two. The difference mainly is the spec and performance which dictates mainly the difference in price as you could see in the table above. 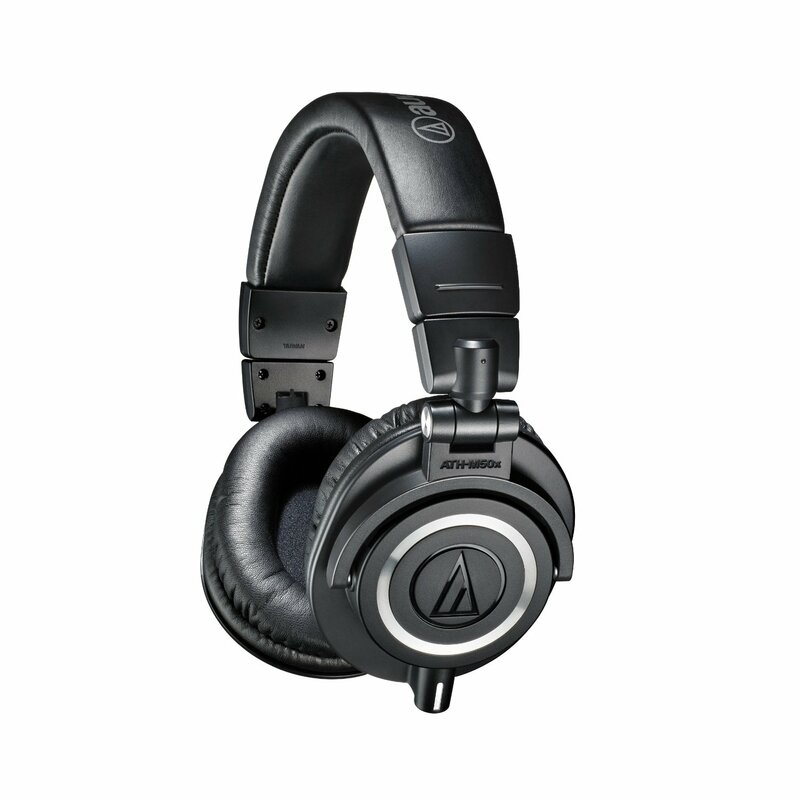 ATH-M40x has a smaller frequency response range (15Hz to 24 KHz) as opposed to M50x extending up to 28 KHz. This means a bit of better sound quality on the M50x side. Also, as you can see in the table above, a 40mm driver size on the M40x compared to 45mm, will result in some non-negligible difference in sound, that’s only fair to say. Well, let’s put it this way: both models for the price (M40x: less than $100 and M50x: less than $150) are unbeatable given the performance and features that they offer, period. Comparing the two, same build design and comfort but difference in spec and quality sort of explains the difference in price. Now which one to buy? It depends. If you are really tight in budget you cannot go wrong with M40x but if you can afford a bit more, I would definitely go for ATH-M50x. It’s as simple as this and there is no magic.